CHARMING HOUSE 700M OF LEON LAKE, A 6 KM FROM THE OCEAN IN THE HEART OF THE MOORS. Very nice house style located 700m from the Lac de Léon. 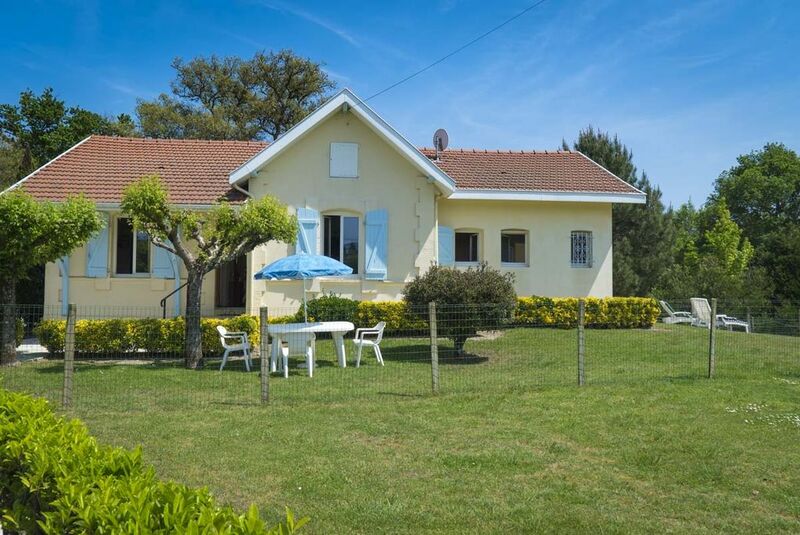 Located near the town of Vielle, near the cycle lanes to the ocean beaches 6km or the typical village of Léon. Beautiful garden of 1700 m2, stream in the garden. The house has an area of ​​100m2, it has 3 bedrooms, sleeps 6. The toilets are separated, the bathroom too. At 700 m from Lake Leon famous for its natural scenery, and the Nature Reserve of the Courant d'Huchet. Ballades in the boat with the boatmen to discover the wild nature of the area. Modalité : Acompte de 25% du montant total de la location à la réservation. Le solde sera dû 15 jours avant la location additionné de la Caution (500€) La caution est dû au moment du 2ème règlement, et sera restitué après votre séjour.